should be returned to Freiherr von Neurath. 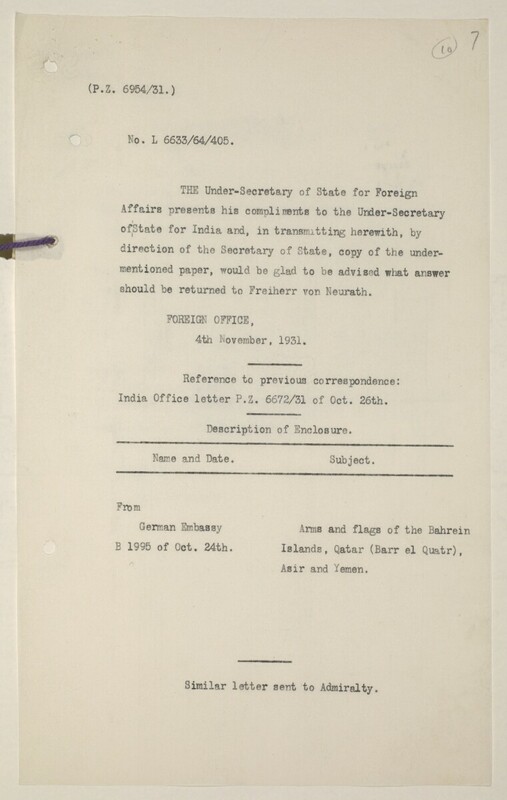 India Office The department of the British Government to which the Government of India reported between 1858 and 1947. The successor to the Court of Directors. letter P.Z. 6672/31 of Oct. 26th. B 1995 of Oct. 24th. Similar letter sent to Admiralty.